Difference between revisions of "April 2012"
'''Apr 4''' - Jubilee plays [http://x-communication.livejournal.com/1267498.html this video] over the loud speakers at the Snow Valley Offices early in the morning. [[Doug Ramsey|Doug]] leaves [http://x-communication.livejournal.com/1267740.html a stuffed platypus] outside Madelyne's door for her birthday. Meggan leaves donuts [http://pics.livejournal.com/calliopes_pen/pic/002aq1z6 and] [http://pics.livejournal.com/calliopes_pen/pic/002aphez plushies], and Wade leaves a box of [http://www.godiva.com/assets/images/prodimg/2428-z.jpg Godiva Dessert Truffles] and a $30 gift card to Big Gay Ice Cream. Sooraya leaves a tin filled with homemade Gosh Feel and a copy of ''The Hunger Games''. Wade meets [[Catseye|Sharon]] in her large cat form. Angelica finally gets a hold of her roommate in England. Needless to say...the discussion doesn't go well. Angel posts to say that she will not be returning to England as planned. After seeing Angelica's journal post, Sooraya decides Angel needs some comfort - and hot chocolate. '''Apr 4''' - Jubilee plays a video over the loud speakers at the Snow Valley Offices early in the morning. [[Doug Ramsey|Doug]] leaves [https://xp-communication.dreamwidth.org/1246719.html a stuffed platypus] outside Madelyne's door for her birthday. Meggan leaves donuts, a husky plushie and a polar bear plushie, and Wade leaves a box of [http://www.godiva.com/assets/images/prodimg/2428-z.jpg Godiva Dessert Truffles] and a $30 gift card to Big Gay Ice Cream. Sooraya leaves a tin filled with homemade Gosh Feel and a copy of ''The Hunger Games''. Wade meets [[Catseye|Sharon]] in her large cat form. Angelica finally gets a hold of her roommate in England. Needless to say...the discussion doesn't go well. Angel posts to say that she will not be returning to England as planned. After seeing Angelica's journal post, Sooraya decides Angel needs some comfort - and hot chocolate. '''Apr 5''' - Jean-Paul delivers [http://blogs.stlawu.edu/mallory/files/2009/09/abstract-art-300x300.jpg three panels of artwork] to Adrienne's suite. Madelyne posts thanking everyone for her birthday presents. Lorna posts asking if anyone is interested in doing yoga with her. Nico posts [http://x-staffofone.livejournal.com/6702.html this picture] on her journal. '''Apr 5''' - Jean-Paul delivers [http://blogs.stlawu.edu/mallory/files/2009/09/abstract-art-300x300.jpg three panels of artwork] to Adrienne's suite. Madelyne posts thanking everyone for her birthday presents. Lorna posts asking if anyone is interested in doing yoga with her. Nico posts a picture on her journal. '''Apr 6''' - Angelica goes to talk to Scott about re-joining the X-Men but he gets a little distracted from the question by chiding her. Lorna and Wade discuss minions and tococopters, then Wade emails Sarah V about programming them. Wade also leaves [http://farm4.static.flickr.com/3309/3338694464_27b3db78fb.jpg 50 bags of Reese's Pieces Pastel Eggs] outside Doug's door. Antics abounded this month. Madelyne Pryor posted demanding "tributes" for her birthday - which she received. Jubilation Lee played "Turisas" by Rasputin over the Snow Valley loudspeakers one early morning. Amanda Sefton celebrated her twenty-fifth birthday with friends and alcohol. Maddie envoked the wrath of Kyle Gibney when she slimed him. Sarah Vale passed her road test with Wade Wilson accompanying for moral support. Angelica Jones spoke to Scott Summers about returning to the X-Men after a discussion with her roommate revealed that she would be unable to return to England. Sooraya Qadir also spoke to Scott about joining the X-Men following the events in Attilan. Vance Astrovik continued to accquaint himself with the mansion, meeting Scott, Angelica, Lorna Dane, and Sooraya. Theresa Cassidy supervised Vance's first Danger Room session, and learnt some surprising facts about mansion's newest inhabitant. Vance and Sooraya both posted, saying they would be joining the X-Men as the newest trainees. Sooraya and Meggan Szardos both got into Empire State University. Kyle Gibney informed Wade Wilson that the paternity test results were back and that Wade was not his bio-dad. Maddie was surprised to discover that Wade and Doug Ramsey are not, in fact, a gay couple. Apr 1 - Laurie posts a video to help explain why she loves the president so much. Jubilee posts on her journal challenge all comers to a game of pool. An April Fool's joke is played on Wade, who lets the community know that Daisy has been impregnated by a deer leading to plans for a baby shower. Fred meets Yvette outside the Danger Room after a particularly bad training session and lets slip he thinks she's hot. Panicked, Fred sends Angelo an e-mail asking for advice and then suffers an inquisition until Angelo discovers who Fred has a crush on. Apr 2 - Sarah V. takes her road test so she can get her license and Wade goes along for moral support. Apr 3 - Dori attempts to do something cute and an argument with Kyle (who's kind of a jerk about it) ensues. Madelyne posts demanding tribute tomorrow in the form of cash money, articles of monetary value, and/or baked goods and chocolate and her intention to be known as Supreme Ultimate High Comandress in the future. Apr 4 - Jubilee plays a video over the loud speakers at the Snow Valley Offices early in the morning. Doug leaves a stuffed platypus outside Madelyne's door for her birthday. Meggan leaves donuts, a husky plushie and a polar bear plushie, and Wade leaves a box of Godiva Dessert Truffles and a $30 gift card to Big Gay Ice Cream. Sooraya leaves a tin filled with homemade Gosh Feel and a copy of The Hunger Games. Wade meets Sharon in her large cat form. Angelica finally gets a hold of her roommate in England. Needless to say...the discussion doesn't go well. Angel posts to say that she will not be returning to England as planned. After seeing Angelica's journal post, Sooraya decides Angel needs some comfort - and hot chocolate. Apr 5 - Jean-Paul delivers three panels of artwork to Adrienne's suite. Madelyne posts thanking everyone for her birthday presents. Lorna posts asking if anyone is interested in doing yoga with her. Nico posts a picture on her journal. Apr 6 - Angelica goes to talk to Scott about re-joining the X-Men but he gets a little distracted from the question by chiding her. Lorna and Wade discuss minions and tococopters, then Wade emails Sarah V about programming them. 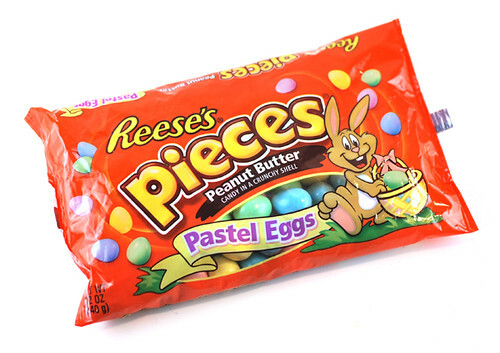 Wade also leaves 50 bags of Reese's Pieces Pastel Eggs outside Doug's door. Apr 8 - Vance meets Lorna in the kitchen and Scott in his office. They talk about learning to control his powers and possibly joining the X-Men. Vance meets Sooraya in the stables. Doug posts wishing people Happy Zombie Jesus Day and gloating over the bags of chocolate he is not going to share. Matt also posts wishing people Happy Easter. Apr 10 - Kyle shares a humorous pie chart about Hamlet and the ensuing thread turns to talk of mastication. Meggan gives Wade a set of ninja fighting chopsticks. Apr 11 - Angelica is having academic woes as she finds out she'll have to make up for her incomplete classes in England. Sarah V. announces she passed her driving test. Apr 12 - Scott and Angelica do some remedial training in the Danger Room with a game of powers-only squash. Terry supervises Vance's first practice session in the Danger Room and discovers his powers - and that he was in jail for two years. Apr 13 - Sharon posts a Cat Safety Propaganda video. Vanessa tricks Adrienne into helping with an urgent case that turns out to be a Red Sox game. Terry asks Doug to hack into Vance's police records. Layla is jubilant about not being exhausted from her powers use at the fair. Adrienne emails Amanda about her birthday plans for the next day. Clarice complains about Friday the 13th and asks for a ride home from the hospital as she's too tired to teleport safely. Apr 14 - Doug leaves a book and a watch for Amanda's birthday; Meggan gives Amanda a plush Holy Hand Grenade of Antioch; Amanda invites her friends for birthday drinks at Harry's Hideaway, unable to quite believe she's 25; Jean gives Amanda a crystal bracelet. Wanda reappears in New York in time for Amanda's birthday. Jean leaves Maddie a belated birthday gift, a necklace with a crown shaped pendant. Korvus announces his intention to try a Mythbusters project, turning a vacuum engine into a jet engine, and inadvertently offends Catseye in the ensuing journal thread. Apr 15 - Laurie makes Garrison an early birthday cake and gives him a certificate to the batting cages at The Baseball Center. Jubilee posts a picture of a bunny in a teacup and wishes she could have pets. Lorna makes a note to herself not to leave her taxes until the last minute. Korvus emails Catseye to apologise and offer to spend time with her. Kyle finds himself privy to Sooraya's Danger Room session and they talk about control and violence. Apr 16 - Amanda makes a journal entry to thank everyone for the birthday celebration and gifts. Sharon texts Lorna about planning a party. Maddie texts Kyle with the message 'Bombs away!' in relation to his sliming. Kyle makes a journal entry referencing Ghostbusters after getting slimed and swearing vengeance against Maddie. Apr 17 - Adrienne leaves a gift in Garrison's suite as a birthday present. Doug leaves Dudley Do-Right DVDs and a new Blue Jays cap for Garrison as a birthday present. Apr 18 - Yvette and Catseye gossip after seeing "The Hunger Games" together. Sooraya and Jean-Phillipe discuss being trainees. Apr 19 - Marie-Ange makes a journal entry about too many people having birthdays this month. Megan e-mails Layla to see if she's interested in going bungee jumping. Apr 20 - Layla and Sharon make a mountain of schnitzel for mansion residents, experimenting with schnitzel while discussing self-identity and being yourself. Kyle sends several texts to Sharon expressing his enjoyment of the schnitzel. Layla e-mails Adrienne to ask permission for her and Megan to go bungee jumping. Apr 21 - Scott meets Sooraya in the Danger Room and she has an important question for him. Apr 22 - Maddie practices her ASL with Doug and convinces him to take her on a field trip. Apr 25 - Sooraya reveals that she is going to Empire State University next year and is involved in an Elpis project. Layla, Maddie and Sarah V. arrange to meet in "The fortress of Awesome", with Snacks! Wade posts an ad about a car and admits it made him want to fly to Seattle to buy it. Meggan goes to Korvus for moral support when opening her acceptance letters to discover she got into Empire State as well. Apr 26 - Kyle and Angelo meet early in the morning and discuss being responsible adults. Sooraya posts on the x-team asking for a trainee name. Amanda posts congratulations to Meggan on getting into ESU. Wade leaves Meggan a t-shirt and a giftcard to downtown bakery. Apr 27 - Clarice makes plans to spend a spa day and educated Wade on the benefits of hot coals. Vance helps Angelica with her task of cleaning the Blackbird. Vance posts to x-team asking for a trainee name as well. Wade leaves Clarice a pair of shirts, a figurine, a few river smooth stones, two cucumbers, a vegetable slicer. Angelica plans for revenge on Vance for soaking her while cleaning. Molly and Matt make plans to go to the mall, and Molly starts planning Matt's birthday party. Jean-Paul asks Jean for help with one of his neighbors who is injured. Apr 28 - Professor Xavier posts on his journal informing the community that there will be spring cleaning and food at the mansion on the week of the 5-6th and asks anyone interested to come and help. John texts Angelo asking how New York is and asking about Amara who he plans to surprise. Sooraya talks to Jean-Phillipe about what it is like to be a trainee with the X-Men. Apr 29 - Kyle sends Wade an e-mail revealing that Moira has got the test results and Wade isn't Kyle's biological father. Apr 30 - Maddie makes a post about the hotness of redheads and discovers Wade and Doug are not a gay couple. Wade invites Meggan and Catseye to learn how to hotwire cars.